Truth be said, I can’t stomach happy endings much. If a film is supposed to portray real-life scenarios, if the film wants me to relate, it can’t force-feed me a Disneyesque ‘and they lived happily ever after.’ This is one of the main faults I find with a lot of films which, on any other level, I love. When films like Requiem for a Dream (2000) and Blue Valentine (2010) are made, I have to watch them at least twice in order to savor the fact that brutally honest films are made. But we won’t be talking about that right now, I’ll dedicate another blog specifically for happy endings (or the lack of) later on. I greedily snatched up the cinema ticket. As I always do out of sheer habit, I asked for a seat in the ‘middle’ of the theatre. Many times, the cashiers nod nonchalantly without caring to explain that they had already punched my ticket and that I have to do with whatever seat number is printed. Fortunately for me, this time, it was a week day at Gallarija, so I could very well have been at home. So I sat in the bloody middle seat. Downside was, there was no one to share the experience with. The Place Beyond the Pines was anything but dragging. Even though it is longer than the typical 1hr30min feature film time span, after the first 15 minutes I had completely surrendered myself to wherever Derek Cianfrance wanted to take me. And when it was over I defiantly remained seated in my seat. I only have one gripe with the film and this is regarding the development of the young characters which feature in the film’s third act. The card explains that the events in this final act happen ‘15 years later’, but what happened in those 15 years is a mystery. I could not get why one of the son’s became such an a-hole. Another mystery is the secret to Bradley Cooper’s uncanny ability to apparently stay forever young. 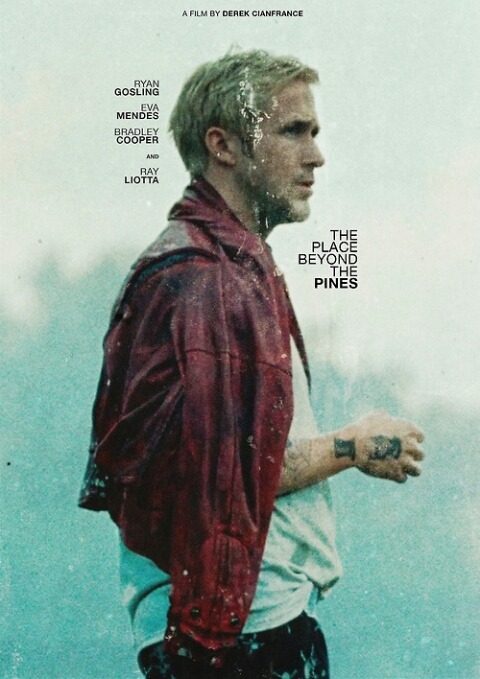 Every film has it’s flaws, and even with all it’s flaws, The Place Beyond the Pines was a solid moviemaking experience. It tells a story about fathers and sons, and all that’s inherited. And I wont blame you for watching it solely for the reason that it the latest effort from the guys who brought us Blue Valentine.